A kidnapping victim attempts to reassemble her life. On a rainy night, Kris (Seimetz) is kidnapped by a man known as "The Thief" (Martins), who forces her to swallow a small worm-like parasite. This puts Kris into a hypnotic state that allows the thief total control over her and he uses this power to force Kris to withdraw her savings and sell her home. The parasite appears to have multiplied and Kris can see it physically move beneath her skin. Drawn by strange sound waves, she heads to a farm where "The Sampler" (Sensenig) transfuses the parasite from Kris to a pig. The next day she wakes up with no memory of her ordeal and discovers she's now broke and jobless. When she begins a relationship with Jeff (Carruth), Kris begins to slowly piece together her missing memories. Part Lynchian nightmare, part Malickian relationship drama, Carruth's follow-up to 2004's acclaimed 'Primer' will likely either delight or frustrate viewers. Personally, I found it both delightful and frustrating, though leaning more towards the former. Originally I was to see this on the big screen but, due to some technical hitch, the press screening was cancelled so I had to make do with an online screener. This actually worked in my favor as it allowed me to instantly hit repeat once the film had ended. Believe me, you'll need to. Carruth's film has a unique cyclical structure in keeping with the nature of its plot, (there is a plot, though, like me, you probably won't cotton onto it immediately). An instant repeat viewing doesn't feel so much like returning to the start as a natural continuation of the story. 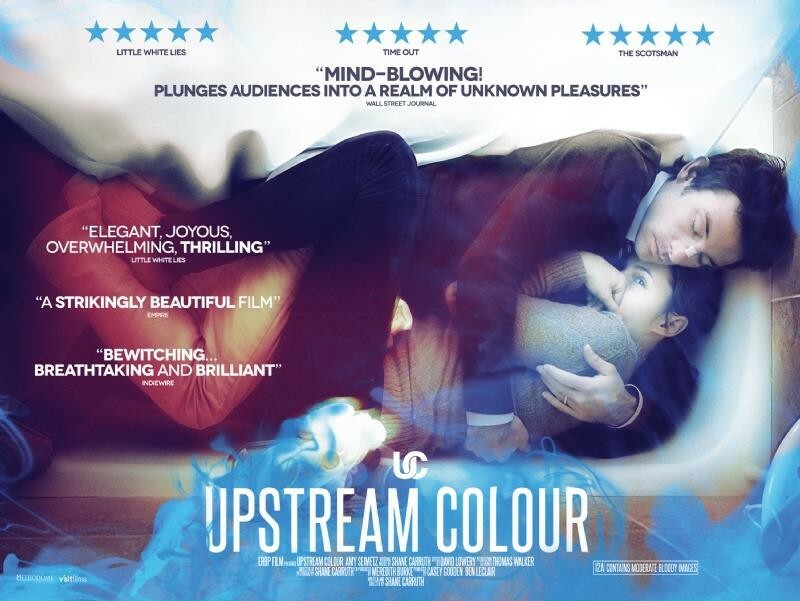 In this way, 'Upstream Color' is closer to an art installation than a conventional movie. It could equally be described as the longest GIF ever. It may run for 95 minutes but if you really want to get the most out of Carruth's film you'll need a block of three hours, preferably with your phone and any other modern curses distractions turned off and locked in another room. I often find movies this intellectually rich problematic, as they tend to have a coldness and lack of emotional resonance. 'Upstream Color', however, is as soulful as it is cerebral and the romance between Kris and Jeff is romantic, realistic and engaging. The minimal dialogue (the final act is close to silent) allows the characters to speak volumes more than the motormouth lovers of Richard Linklater's overly verbose 'Before' movies. Even if you shut your brain down and opt to ignore the plot (though I can't imagine any viewer pulling off such a feat), you'll find yourself wrapped up in a story of two broken people attempting to piece themselves together. 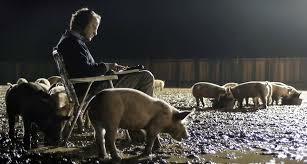 Carruth not only writes, directs and stars here but also edits, scores and photographs his film. If he never gets to make another film, an all too real possibility given his nine year struggle to get this made, he could easily pursue a career in any one of these six departments. Combining all six disciplines in one project makes for one of the most fascinating movies you'll see all year.